HomeBlogCalling All Great Ideas! Washington State Nonprofit Conference wants to hear from you. Calling All Great Ideas! Washington State Nonprofit Conference wants to hear from you. Do you have an idea that you want to share with other nonprofit leaders? Do you have experiences that you think other nonprofit people could learn from? 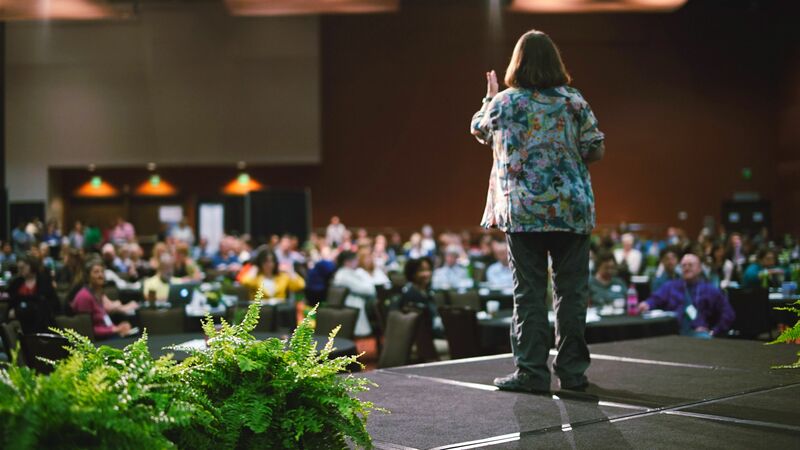 The Washington State Nonprofit Conference is an idea laboratory where people come to share, test, hear, and get inspired by new and renewed ideas. One way to share ideas is through the workshop proposal process. That is happening now with a deadline of January 31, 2019. If you have an idea that you want to share in a workshop format, now’s your chance to let us know! The Washington State Nonprofit Conference is the only annual statewide gathering for members of the nonprofit community. It will be May 21, 2019 in Bellevue, Washington. Stories from the field: Learning from the lived experiences of nonprofit leaders across Washington State. We are committed to hearing from practitioners and providing more opportunities for attendees to learn from each other and problem-solve together. Increasing equity: Building commitment to and action for equity within our organizations and our communities. Staying current: Opportunities to engage with current events and strategies for leading in uncertain times. Want more information? Watch this 30-minute recorded webinar on all of the ways to share ideas at the Washington State Nonprofit Conference. Download the proposal packet. When you are ready, apply here. We welcome questions anytime: learning@washingtonnonprofits.org. We can’t wait to hear your ideas on May 21st!